A Hellraiser TV series is on the way. As much as I liked Freddy's Nightmares and loathed the Friday the 13th TV series, I believe a Hellraiser has much ground to explore and the potential to be very inventive -- much like FX's American Horror Story. Now will the series explore the Pinhead/Cenobite storyline? Or will it be something completely different (ala F13)? In all honesty, I wouldn't mind a weekly Pinhead story, you know, something will a nice arc that'll stretch the entire season. Sonar is co-developing with Eric Gardner's Panacea Ent. 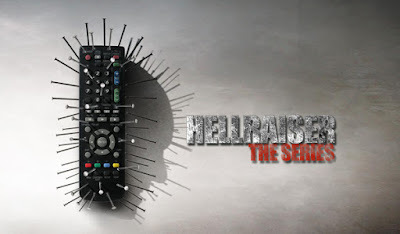 "Hellraiser," a TV series based on the cult British horror franchise. Gardner will exec produce along with Larry Kuppin, whose company New World Entertainment is behind the first two 'Hellraiser' pics.